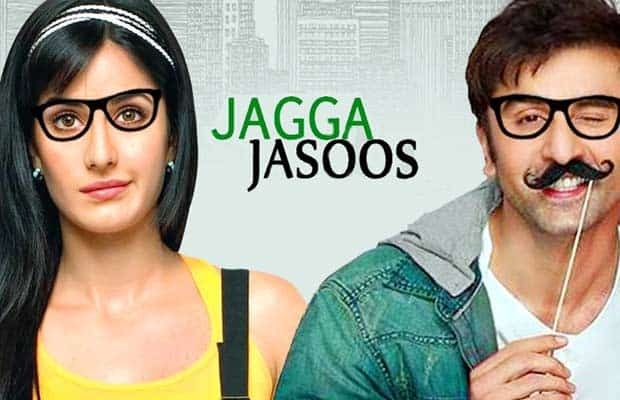 Written and directed by Anurag Basu, starring Ranbir Kapoor, Katrina Kaif, 'Jagga Jasoos' hit the silver screens on July 14 and after a decent occupancy collected a decent Rs 31.75 crore on the first weekend. Back then, it seemed that 'Jagga Jasoos might become a sleeper hit. But figures of 9 days after its release speak an altogether a different story. According to boxofficeindia.com the film could only collect a meager Rs 2 crore on its 9th day. According to trade analyst, Taran Adarsh Jagga Jasoos minted Rs 8.5 crore on Friday, the film's first day. #JaggaJasoos Fri ₹ 8.57 cr. India biz. As per Taran Adarsh's tweet, 'Jagga Jasoos' witnessed a good growth on Saturday, adding Rs 3 crore more than it's first day to its basket, collecting a cumulative Rs 11.53 crore. #JaggaJasoos Fri 8.57 cr, Sat 11.53 cr. Total: ₹ 20.10 cr. India biz. On the third day, 'Jagga Jasoos' witnessed even more growth and minted Rs 13.07 crore. That proves that as the days are passing words about 'Jagga Jasoos' doing rounds among the cinelovers have been positive. #JaggaJasoos Fri 8.57 cr, Sat 11.53 cr, Sun 13.07 cr. Total: ₹ 33.17 cr. India biz. Jagga Jasoos Hit or Flop? With a total of Rs 8.5 crore + Rs 11.5 crore + Rs 13.07 crore, 'Jagga Jasoos' weekend box office collection has been Rs 33.17 crore. As per a tweet by Taran Adarsh, 'Jagga Jasoos' has collected Rs 53.38 crore by the end of the second weekend. Total: ₹ 53.38 cr. India biz. Ranbir Kapoor hasn’t had quite a luck when it comes to box-office numbers and Katrina Kaif’s last three films didn’t stood up to Indian audience expectations. To add to all this, Anurag Basu in a recent interview said that 'Jagga Jasoos' is a film for kids and he made this film because his children weren't happy with the way 'Barfi' was made. When was the last time any Bollywood movie intended for kids made a huge mark at the ticket counters? Not many. Adding these factors and the numbers of the two weekends that so clearly speak of disappointment at ticket counters, it seems that 'Jagga Jasoos' will have have no respite anymore. And the film can officially be stamped- A Flop.